Join us for this eight week series, as we take a close look at what it means to break from the past and experience true emotional healing. For further details about this course, please contact Phil Hughes. If we are to nurture a heart that treats every person, ourselves included, as a “Thou” instead of an “It” (see Grow into an emotionally mature adult), we need to be intentional about our lives. By ordering our lives to contemplate the love of Christ and to receive the love of Christ, we will be able to give the love of Christ away to others. The goal of the Christian life is to love well. Jesus was aware that true spirituality included not only loving God, but also the skill of loving others maturely. Growing into an emotionally mature Christian person includes experiencing each individual, ourselves included, as sacred, or as Martin Buper (a twentieth century philosopher & religious thinker) put it, as a “Thou” rather than as an “It”. We live in a 24/7 world, but that’s not how humans are created to operate. Today’s message looks at some ancient spiritual disciplines designed to bring a godly rhythm back into our lives and help us achieve a balance between doing and being, activity and reflection. Our ability to grow as disciples and human beings depends on our response to grief and loss. Jesus was fully God, but also fully human, and he models for us the struggle and the treasures available for anyone brave enough to face ‘loss’ God’s way. Emotionally healthy spirituality requires that you go through the pain of the Wall- or, as the ancients called it, “the dark night of the soul.” Just as a physical wall stops us from moving ahead, God sometimes stops us in our spiritual journey through a spiritual Wall in order to radically transform our character. Often, we are brought to the Wall by circumstances and crises beyond our control. Going Back in order to go forward: We do not have to repeat broken patterns from our family of origin. Once you’ve gone back and identified them, you’re free to go forward and live according to the new pattern of your family in Christ. 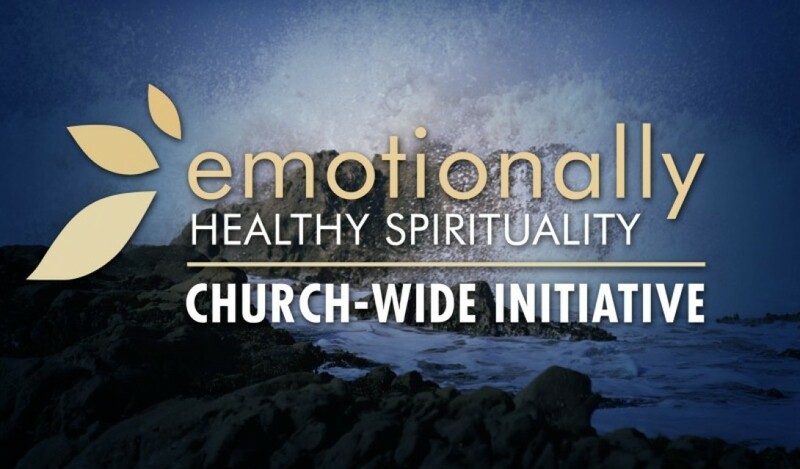 Emotional health and spiritual maturity cannot be separated. It is impossible to be spiritually mature while remaining emotionally immature. When we ignore the emotional component of our lives, we move through the motions of Christian disciplines, activities, and behaviours, but deeply rooted behavioral patterns from our past continue to hinder us from an authentic life of maturity in Christ. We often neglect to reflect on what is going on inside us and around us (emotional health) and are too busy to slow down to be with God (contemplative spirituality). As a result, we run the high risk of remaining stuck as spiritual infants, failing to develop into spiritually/emotionally mature adults in Christ.